Harry Potter series, I loved it as a child, but now been grown up, it has flaws, but being said that they are enjoyable, especially the last two parts. I was exciting for this when it was was announced but now, when it came near to it's release, my anticipation had gone down a bit. This is nowhere near a perfect film, nor it is one of the best in the harry potter series (tough this is an entirely new series), but to some extent it is enjoyable. 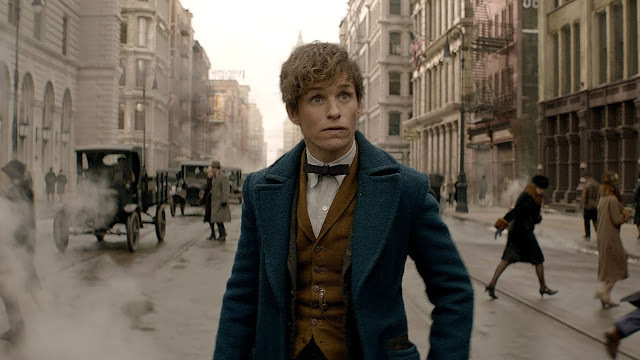 Performance in the film were good, The costume design was superb, as any Harry Potter film. But I witnessed something different from any Harry Potter film, which was a positive point. The Story line, was like okay! Could have been a little more intresting, but anyway, it lived up to the hype in certain ways. Overall it is not a great film, nor an awful one. Just okay, decent film, or slightly more then decent ;). If you are a harry potter fan, surely give this a viewing.